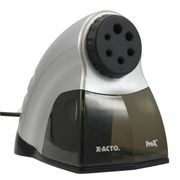 X-Acto ProX Electric Pencil Sharpener. 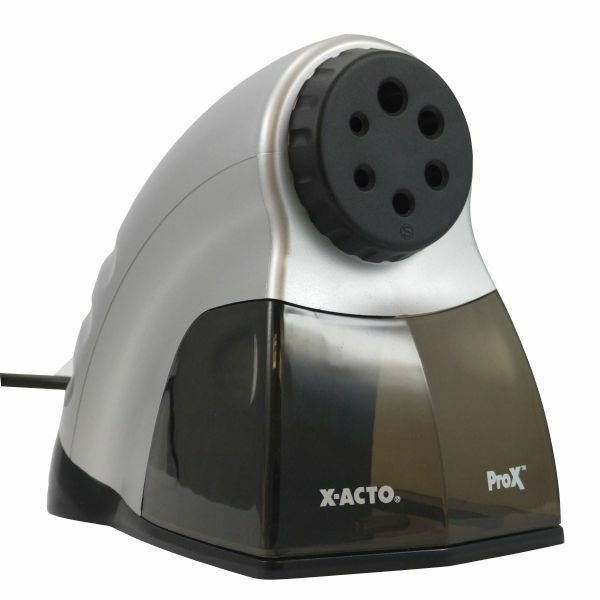 Commercial grade, heavy-duty sharpener. Features Smart/Stop feature and blue LED light. Ideal for fast, quiet, classroom sharpening. Black/silver body.